Mosque In The City Of Acre In Northern Israel. Cableway Cabin Descends From The Fortress Masada. African Ostrich Chick In The Reserve Hai-Bar Yotvata In Southern Israel. Landscape Dead Sea Shortly Before Dawn, Salt, Water And The Jordanian Mountains In The Background. Onager In The Reserve Hai-Bar Yotvata In Southern Israel. Cableway Cabins Descends From The Fortress Masada. Screwhorn Antelope In The Reserve Hai-Bar Yotvata In Southern Israel. This stock image "Travel Israel" CD contains 143 premium images. 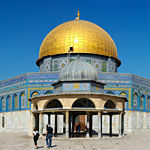 Each were hand selected to provide you with the best selection of Israel Travel - landmarks, cities, landscapes in Israel. and related topics stock photograpy. Travel Israel images may be licensed for use in web design, presentations, advertisements, greeting cards, books, CD and DVD covers, blogs, social media sites and other uses. This collection is available for either Standard or Extended licensing and may be purchased online and downloaded immediately. Get all 143 images for one low price!